Glenn Beck Replacement will be Michael Savage? 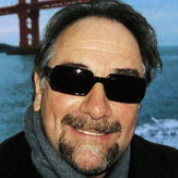 Home → Damien Zone → Glenn Beck Replacement will be Michael Savage? It was announced earlier today that Three’s Company costar, Joyce DeWitt, will team up with Al Sharpton to create The DeWitt-Sharpton Report; a one-hour news and commentary show that will replace out-going Glenn Beck, http://thedamienzone.com/2011/04/06/glenn-beck-fired-his-new-replacement-will-be/but wait — hold the presses — this press release may have been premature. Rupert Murdock may have had a change of mind and now he is in feverish negotiations with controversial radio host Michael Savage. Savage is already way better than anybody on Fox but the word on the streets is that The big guys at Fox News think that Michael Savage might be too hot to handle. He already hates Sean Hannity and Bill O’Reilly — and he even calls Greta Van Susteren “Scarface” so there would be a lot of obstacles to overcome if Savage were to take over Beck’s job. “I have been in talks with Mr. Savage,” said Rupert Murdock from a restaurant he owns on the upper west side of Manhattan where Sean Hannity and Bill O’reilly work for two hours each day as bus boys and bar-backs so that they too don’t get fired like Beck. “Savage is a tough nut to crack. He’s Jewish so you know that he’s already more shrewd than O’Reilly and Hannity. Jews are shrewed but I am able to keep those two shanty Irish guys on the payroll because I am English and I hate the Irish and they fear me. Savage doesn’t fear me. He doesn’t fear anyone. You know, I think I might hate the Irish almost as much as O’Reilly hates the Italians. If he keeps praising the Kennedy’s and pumping up RFK’s alleged roll in hurting the mob I might get his knee caps broken by some guys I know over in Sicily. O’Reilly is really an idiot but he gets me rating and money so I keep him on, but every night at 9:30 he has to punch the clock at my restaurant and clean up or he’s out…O.U.T…out! Already, angry mobs are storming the sidewalk outside the Fox News Building in Manhattan. AIDS activists hate Savage. Hollywood hates Savage. Even Jewish groups hate Savage who is himself Jewish. The mob has grown to tens of thousands who will go insane if Savage gets the Glenn Beck job. Savage already worked for MSNBC but they fired him when he told off some nasty queen who called in to rant about gay rights. After dicking around with the schedule for a while MSNBC got Keith Olbermann — we all know where that went. There are rumors that Olbermann was the queen on the phone who caused the whole thing. Who knows? Snooki donates her $32,000 Rutgers Paycheck to her New Charity. Someone should question Glenn Beck if this was a sign from GOD or just stuff that happens. Montana — let it go, honey, let it go.